Main Point: I can follow Jesus by telling others about God! Jesus called ordinary men to an extraordinary life with a simple invitation: follow me. We can still choose to follow Jesus today by living according to His example. Following Him is the best decision we ever make! We heard a story from Carrie about some men who were fishermen, but one day while they were fishing, Jesus called out to them. He told them to leave their nets and follow Him! The men knew they could fish, but they didn’t know how they would follow Jesus and teach others about God. But Jesus wanted them to help Him because God gave them a special job to do! And we have that special job, too. Our special job is to tell everyone about God! 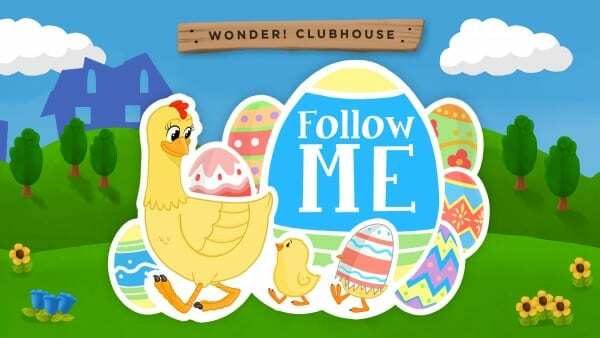 Each weekend children visit Quest during the month of March they can collect main point eggs to add to their Follow Me poster. These eggs will help remind them to follow Jesus’ example by loving God and other people. 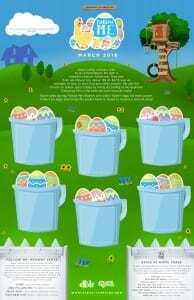 Children can collect six eggs and bring their poster back to Quest to receive a special prize. Join us in helping your child learn our memory verse, Matthew 4:19. Children can recite this verse every week throughout the series to earn bonus eggs for their Follow Me poster. Knowing this verse helps children remember that we should follow Jesus. Help your child practice this verse at home. Then ask them to Remember, Think, and Follow to review what we learned this weekend.